Risk based seasonal / sub-seasonal weather forecasts for your business, fund portfolio or event. To really understand and effectively use longer range weather forecast models, you need firstly to understand the mechanics of the weather-climate system and form a broad-scale view on where the probabilities truly lie. Only then can confidence be given to any particular model forecast for a given month or season. There is no chaos theory. The global weather pattern is not as complicated or chaotic as you may think. Over the course of a season or even on a monthly basis, the pattern of ridges and troughs, high and low pressures sets up on a characteristic basis time and time again reflecting a small number of ‘driver’s. Our job is to unveil and understand these drivers and how these fit together within the jigsaw to predict where, on average, the broad-scale pattern of ridges and troughs will form. We apply contemporary understanding of the dynamical and stochastic processes in the ocean – atmosphere system to form views on Rossby Waves, the engine house of global weather patterns. Particular use is made of the Global Wind Oscillation as a predictive tool which provides a useful framework for sub-seasonal and seasonal prediction, and serves to demonstrate that eight basic patterns dominate the global weather pattern. There is no chaos. Then, having formed a view of the broad-scale hemispheric (and often global) pattern, we then apply long range weather model forecasts to look for similarities or discrepancies, giving degrees of confidence in a particular forecast. This can be particularly useful in helping to address inherent model bias that exists. 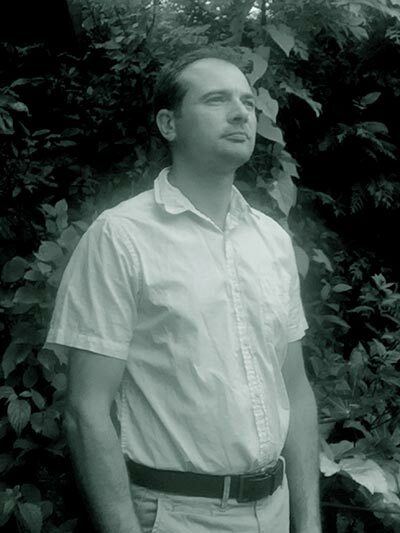 Stewart has a graduate degree background in the Natural Sciences and has always held a keen interest in meteorology. The ability to understand and conceptualise complex planetary scale issues seemed to come naturally and Stewart joined Netweather.tv as a forecaster in 2009 on the back of some impressive publically issued seasonal range weather forecasts between 2007 and 2008. During the winters of 2010, 2011 and 2012 Stewart had some impressive successes culminating in the now famous “Winter of Two Halves” which drew heavily on the role of the stratosphere in influencing long term weather patterns over Europe. These successes did not go unnoticed and, in 2013, Stewart was contracted exclusively to Centrica to provide sub-seasonal and seasonal weather forecasts, working closely with the head meteorologist, demand forecasting and trading teams. The successes did not stop there. Demonstrating that he is a ‘man for all seasons’, Stewart correctly forecast the warm and dry European summers of 2013, 2014 and 2015, as well as identifying the first below average Hurricane Season in a long while against the consensus of models and indeed long range weather consultancies. These successes were even more impressive considering the long lead times for the forecast – up to six months in advance. His partnership role with Centrica included (and continues to be) regular forecast updates, blog style reports and presentation to various parts of the Centrica-British Gas business with the trading team and head meteorologist the principal target audiences. Sub-seasonal and seasonal weather forecasts (with confidence levels) for temperature, wind and rainfall were produced for North-western Europe territories and more recently, this was extended to include South-east Asian territories. A key skill demonstrated in this time was not just the ability to put a forecast together for a highly complex subject, but also to be able to communicate this effectively. Over three years on, Stewart continues to be contracted to Centrica although cost pressures within the energy sector have enabled the contract to be loosened and there is scope for a select number of clients to draw upon his expertise. The successes and, on occasions, the failures, continue to highlight to Stewart the value of a non-model based approach to long range weather forecasting. Centaurea Weather maintains a conceptual forecast for the Northern and Southern Hemispheres extending out to six months. To reiterate, this is not a model based forecast but an interpretation of how various factors are and will influence the atmosphere. From this, we can extract forecasts tailored to each business which might include regularly serviced contracts or one-off forecasts for specific events. Forecasts for sub-seasonal and seasonal temperature, rainfall, wind and solar potential can be subscribed for various locations across the Northern Hemisphere. These are usually expressed in terms of deviation from 30 year running long term averages. Forecast issued for the following two months, usually second Monday of the preceding month. The forecast document comprises the forecast for each parameter as well as a 8-10 page discussion piece highlighting the key drivers and expected evolutions in the atmosphere. Forecast issued for the following five months, usually second Monday of the preceding month. The forecast document comprises the forecast for each parameter as well as a 15-20 page discussion piece highlighting the key drivers and expected evolutions in the atmosphere. Although forecasting exact weather conditions for any given day is near impossible in the sub-seasonal and seasonal range, broad-scale probabilities can be given for months and this can be used on a probabilistic basis for event planning. The forecast document will provide a brief outline of expected dominating weather patterns and probabilistic forecast with degree of confidence for any requested variable such as rainfall, temperature or wind. Forecast can be issued on a regular basis from six months prior to the event.